The cooler Winter months often cause my facial skin to experience a bit of uneven texture in the form of small dry patches, and I'm experiencing a nice balance of soft even skin using a couple of products from Gold Sakura. 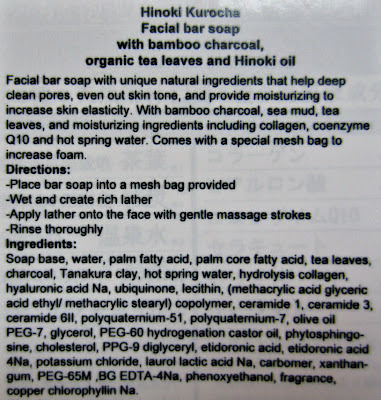 Japanese skin care products are their specialty, and they use only pure and natural products manufactured to the highest Japanese standard. Both the Beauty Bar Soap from their Hinoki Kurocha line and the Facial Cleansing Foam from their Hinoki Deitanseki line give me similar results. They both contain wood charcoal to absorb excess sebum and mildly exfoliate, and Hinoki Oil which is derived from Hinoki Cypress trees. This oil is very gentle on the skin, and is known for its healing properties. 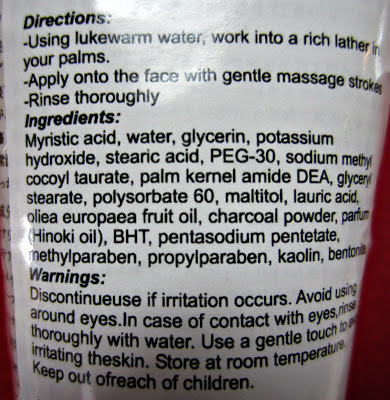 The Facial Cleansing Foam comes packaged in a 4.2 oz. tube with a flip-top cap. This product retails for $16.50. The scent is light and smells like fresh cut cedar, or a slight woodsy/pine aroma. The formula is very thick, and I do believe this is the first facial wash I've used that looks like this! 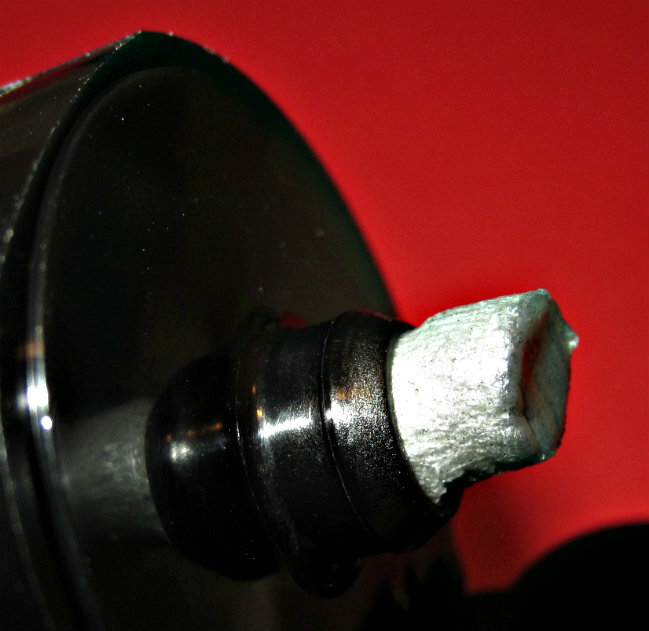 It's silver in color, and you can see tiny black particles, which is the wood charcoal. I squeeze a small amount (less than 1/2" in length) into my palm, rub my hands together to create a creamy lather, and then simply work it into my facial skin using a massaging motion. It's feels very soft and smooth, and rinses clean. I've also been using a small amount as a mask a couple of times a week on my nose and the surrounding area to shrink blackheads with good results. I know they'll never disappear completely, but this product does seem to help deep clean and diminish them. After cleansing, I'll apply a tiny smount to the area I'm focusing on, leave it on for the duration of my shower, then rinse. The Beauty Bar Soap is formulated to deep clean pores, even out skin tone, and provide moisture to increase elasticity. It comes boxed and is 2.8 oz. This round bar measures 3" in diameter, and comes packaged with a mesh bag to increase the foamy suds. 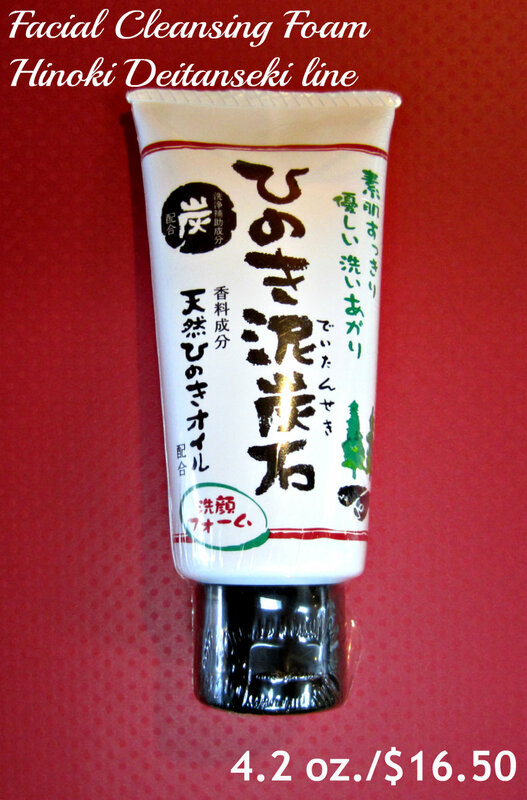 The scent is very similar to the Foaming Face Wash, a light evergreen smell. The retail price is $27.00. The soap foams up very well on its own, but using the mesh bag with it will increase the foam tremendously. I am amazed by just how much lather in generated using this little bag. 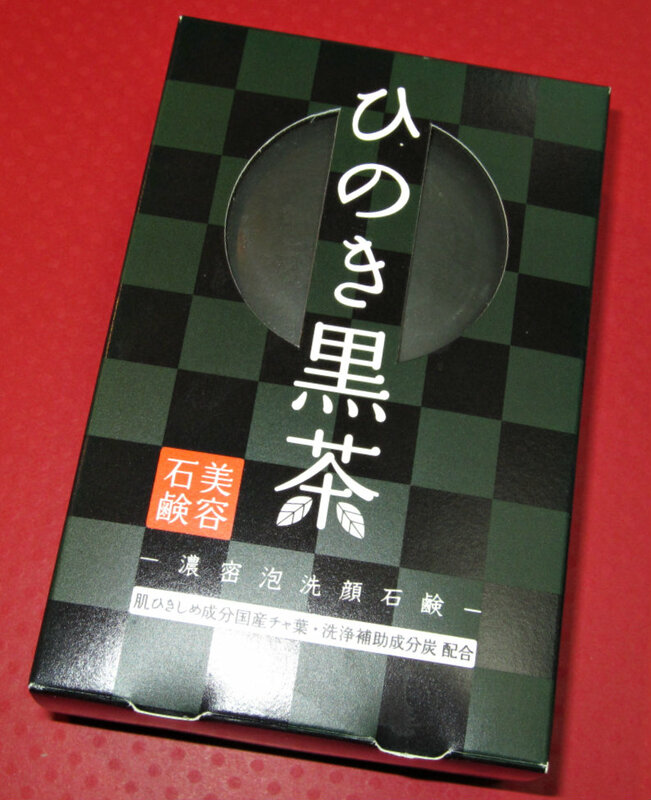 It's a very bubbly, thick lather, and the Gold Sakura web site describes it as a marshmallow froth. 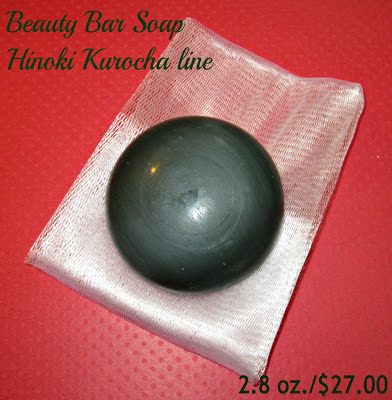 The Beauty Bar is very dense, and it seems to shrink at a rate far less than most standard bar soaps. This is going to last a lot longer for me than I thought it would. In addition to the charcoal and Hinoki Oil for cleansing and healing skin, the soap also contains six moisturizing ingredients, as well as green tea and sea mud. 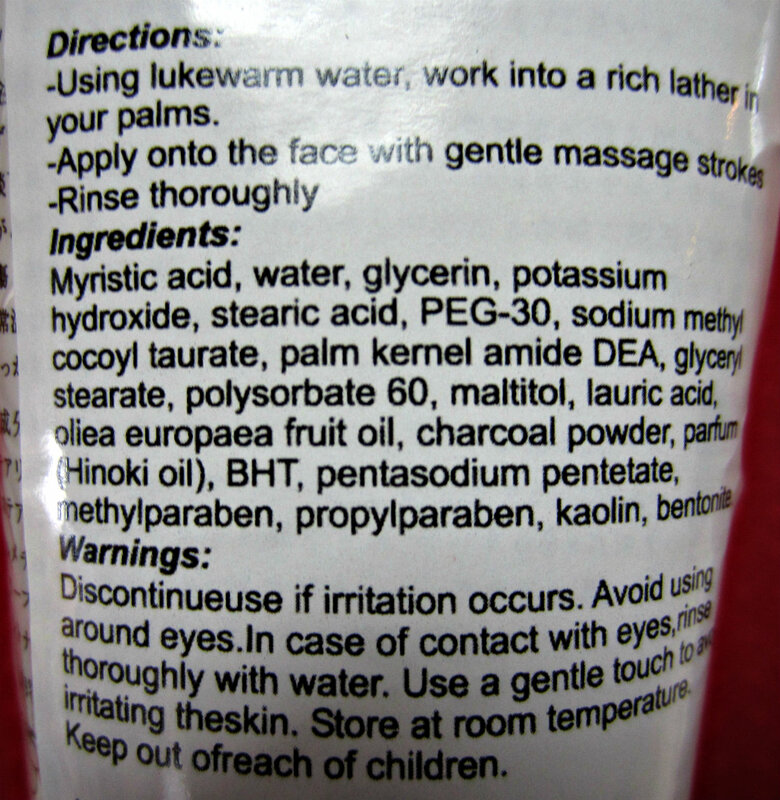 Lots of beneficial ingredients for healthy skin! Japanese cosmetics and skin care almost always seem superior to Western and even many European brands, but living in the U.S. makes those items a little harder to come by. 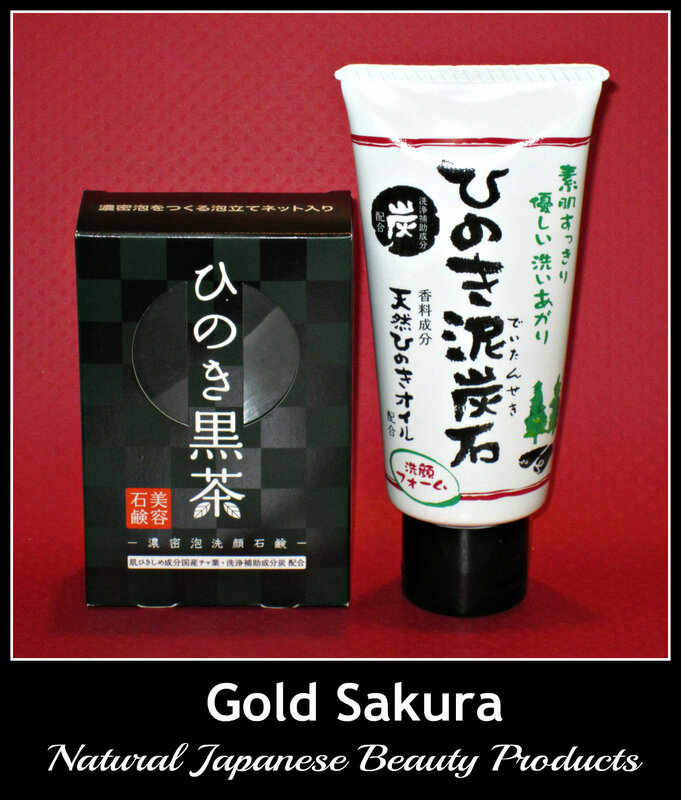 Gold Sakura products are manufactured in Japan, but they are readily available on their U.S. web site. Both of the products I'm using are excellent, and they have that added fun factor bonus...bright shiny silver face wash and massive amounts of foam from the beauty bar soap! Fun factor aside, they deliver superior cleansing and toning without dryness, and they provide ample moisture without a greasy or heavy effect. Only a small amount is needed from these products to perform well, so they will last for quite some time. Gold Sakura is cruelty-free, each product has an ingredients tab on their site, and International shipping is also available. They carry a nice range of facial skin care products, bath and body products, and hair care. You can follow them on Facebook and Twitter to keep up with their latest product news and specials. They're offering some great stocking stuffers for the holidays, along with free Furoshiki, which is Japanese style gift wrap. *Products featured were furnished by Gold Sakura for consideration. these seem interesting, you can only get them on their website? Nina~yes, their site or their Amazon storefront are the only places I'm aware of to purchase their products at this time. 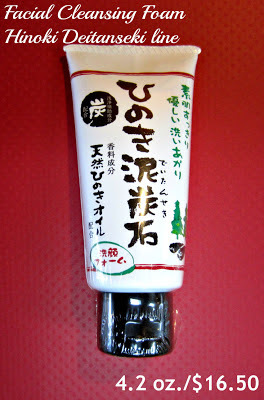 I absolutely love Hinoki products!! It's the only product that doesn't irritate my skin but really cleans my pores. I always get them when I go back to Japan but I'm glad to know that I can get it in states through GoldSakura!! Thank you for this post! !